Cholesterol & Wellness, Food & Nutrition, Recipes: Delicious & Healthy! Onions are another one of the powerful foods that I discuss in my book “A Unique Journey to Health Through Nutrition”. Onions contain quercetin, an antioxidant flavonol which has been linked to reduced risk of coronary heart disease and stroke. 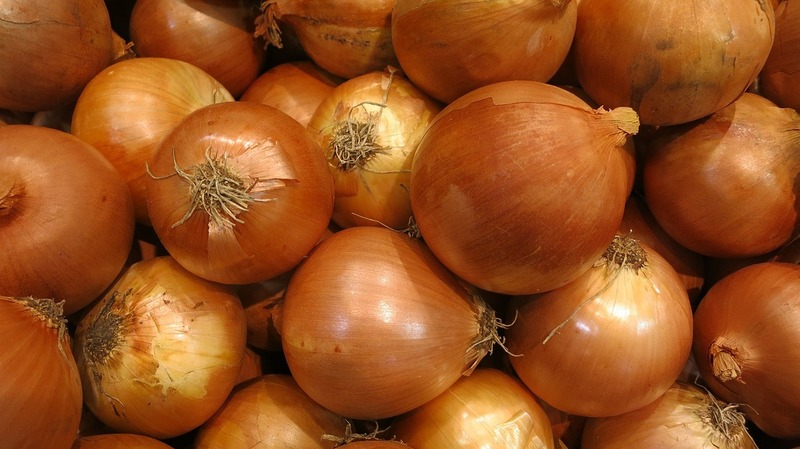 Eating a medium onion daily has been shown to increase High Density Lipoprotein (HDL) cholesterol by 30%. That is an enormous benefit for people who have high Low Density Lipoprotein (LDL), the so called “bad” cholesterol. HDL carries LDL to the liver so that the body can destroy artery-damaging fat. HDL and LDL levels should be in balance for the body’s natural elimination system to work. Eating onions helps to balance these proteins by raising good HDL levels to counteract a higher LDL. Eating onions raw gives the greatest benefit to your heart, although I know that not everyone loves the taste of raw onion. Cooking onions, especially sautéing or caramelizing, degrades the properties that help raise HDL levels, and so I would suggest doubling your intake of cooked onions (2 medium onions per day) to compensate for this loss. Using virgin olive oil for cooking or sautéing onions is much more heart-healthy than using vegetable oil or butter. Quercetin degrades only slightly during boiling, with most of it transferring to the broth. So, if you like boiled onions in broth or soup, be sure you are drinking the broth to get the most benefit. Here is a great recipe that I love to prepare when I do not have a lot of time, and it tastes fantastic. Use one whole onion, cut it up in halves, and separate the sections. Toss it in olive oil. Add hot sauce to taste. Wrap in aluminum foil and place on a griddle or open flame. Cook for about 25 to 30 minutes. The onion comes out tender and delicious, and it makes a great side dish for any meal. Want to find more of my recipes and tips I learned during my journey to complete health through nutrition? Contact me!